Sorrel is a small leafy green that is lemony in flavor (but not bitter) and nutritionally beneficial. It is easy to use and is readily available at Farmers Markets, especially in the spring. 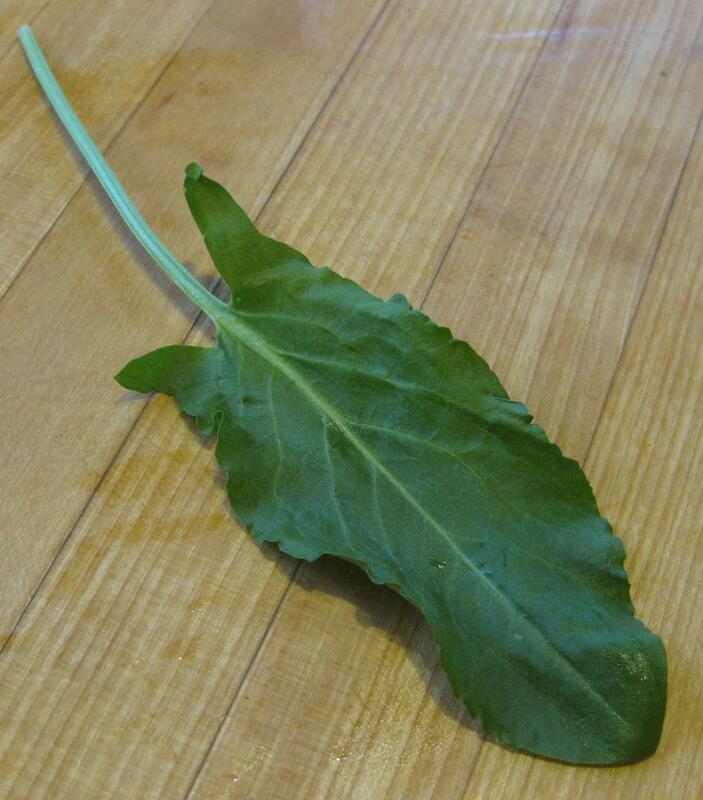 Sorrel adds mild lemon flavor to salads and soups. This salad is warming and invigorating! For instructions on cleaning the sorrel, see “Cleaning leafy greens and other dirt-filled veggies” on the Food Prep Tips page. In a medium size bowl, add the balsamic vinegar, salt, cayenne pepper, and caraway seeds. Mix. Mix in the chopped sorrel. Add the flax seeds and mix well. Let sit for 1/2 hour. 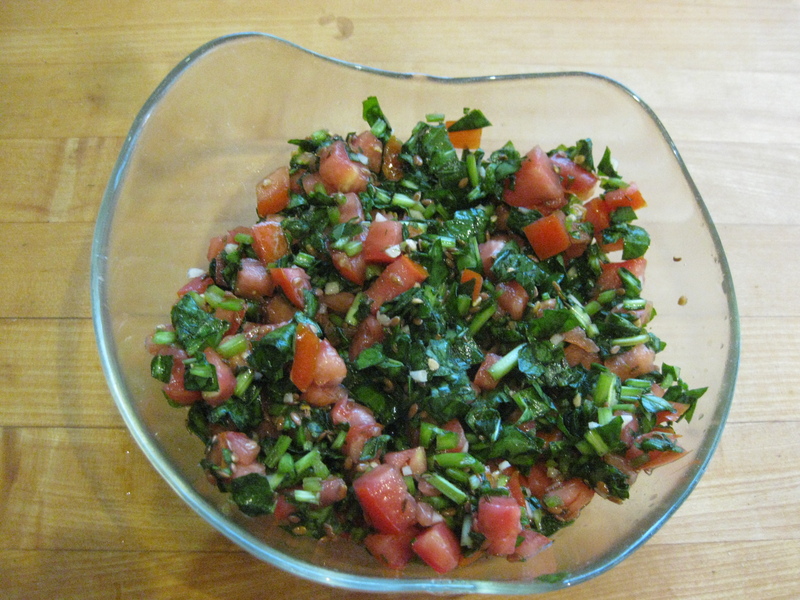 The sorrel reduces in size so you might want to put the salad in a smaller serving bowl. This salad is somewhat like Tzatziki dip. The additions of pumpkin seeds and green onions up the salad’s nutritional value. 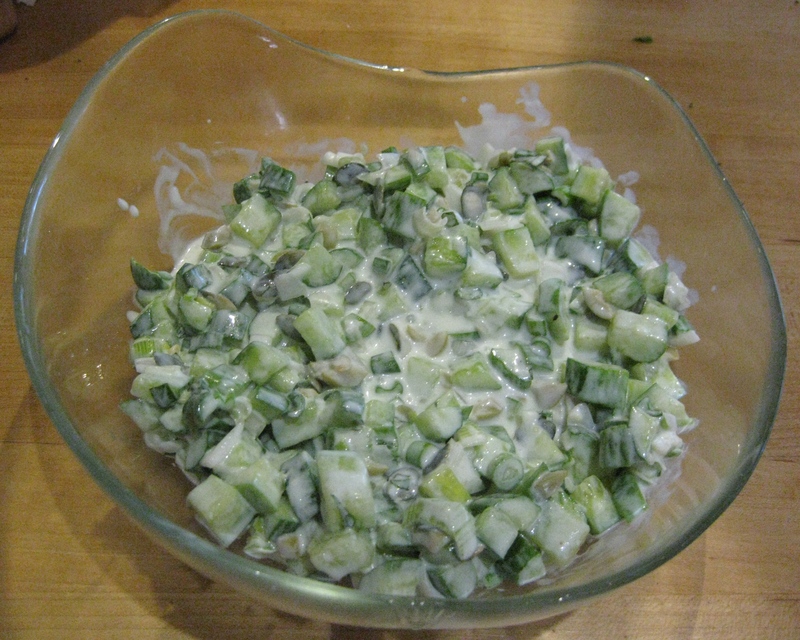 Let the salad sit for at least 1/2 hour so that the salt dissolves and the flavors mix. Low-fat yogurt is not satisfying to the body so don’t use it. Try not to use the large cucumbers. They aren’t as nutritious as the smaller ones. If you use the green olives, you can lower the amount of salt. If you like the crunchiness of the pumpkin seeds, add more.